Conveniently located across the road from historical landmark Colton Hall, the Monterey Museum of Art makes its home in Old Monterey. Featuring galleries devoted to some of the finest works of art from the surrounding area and artists, the exhibition space displays many different mediums and styles. The museum curates an always expanding and evolving collection of works from many different artists in both permanent and temporary exhibitions and galleries. 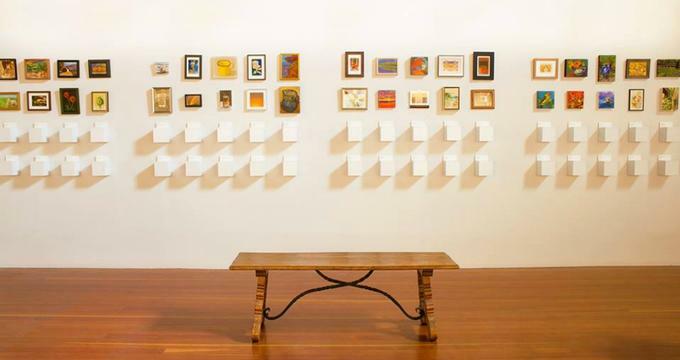 The lovingly curated collections aim to enable an exploration and appreciation of Californian art in all its forms and features work both past and present and inspires those who hope to contribute in the future. Due to the natural beauty of the Monterey Peninsula that the museum calls home, it has always been an attraction to artists and photographers who hope to capture some of the raw majesty of the mountains, plains, shores, and ocean. Their work can now be found adorning the walls of the museum. Not content to merely play host to the works of the past, however, the museum also offers outreach programs into the community, hosting workshops for kids every weekend. Hoping to find and inspire the next generation of California’s great artists, they have put together a hands-on and engaging 2-hour workshop that not only educates but also encourages children, who get to take home whatever they produce. They also offer a range of art-focused summer camps for young budding artists of varying ages, disciplines, and skill ranges; these intensive courses range from a single day to five-day explorations, and more information can be found on the website. It’s not just the children who can learn something new, as they also offer guided tours of the exhibits to adults, which provide some background to the artists themselves alongside a more in-depth analysis and exploration of the mediums, techniques, and styles they employ. Whether a novice, patron, or critic, you’re sure to find the information interesting, while it also paints the exhibitions with a whole new colorful brush. As with most art galleries, photography of the temporary or touring exhibitions is forbidden; still photography of the permanent displays is allowed as long as it is not intended in any way for commercial use. Standard admission costs $10 for adults and students, military, children, members, and seniors are all admitted free of charge. They also offer 50% discount to cyclists on Thursdays if you show them your helmet. The museum is closed on Tuesdays and Wednesdays; on all other days of the week they are open from 11:00am to 5:00pm.